Criminal Defense Lawyer | Denver | Mastro, Barnes & Stazzone P.C. The law firm of Mastro, Barnes, and Stazzone, P.C. 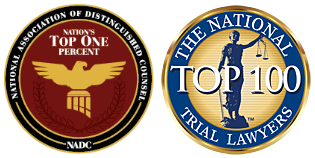 combines the experience of former prosecuting attorneys and defenders to ensure top-notch legal representation in District, County and Municipal Courts. The firm is committed to providing quality representation for all legal criminal needs. Mastro Barnes and Stazzone, P.C. has abundant experience with jury trials, judge trials, arraignments, preliminary hearings, motions hearings, probation revocation hearings, and records sealing petitions. The law firm of Mastro, Barnes, and Stazzone, P.C. represents the criminally accused in the District and County courts of Adams, Arapahoe, Boulder, Broomfield, Denver, Douglas, Jefferson and Gilpin counties, as well as other selected counties in Colorado. The firm represents defendants in municipal courts located in Arvada, Brighton, Castle Rock, Centennial, Commerce City, Denver, Edgewater, Golden, Lakewood, Lone Tree, Northglenn, Parker, Thornton, and other municipal courts. No matter your criminal matter- we can help. A felony in Colorado is a crime that carries a possible sentence to the Department of Corrections and a period of mandatory parole. When soliciting a criminal lawyer you should select attorneys who are experienced with serious felony matters and criminal attorneys who have successfully defended these complex cases.